Thank You for subscribing to Collaboration Genius! Thank you for subscribing to Collaboration Genius. I think you’ll find it full of practical tips you can put into practice right away. This weekly newsletter will arrive by email the first week of each month. You can unsubscribe at any time by clicking on the link at the bottom of the email. Again, thanks for subscribing to Collaboration Genius. I hope you find it valuable. Your advice to reach out to my network has been life-changing for me. My mindset shifted from wondering who would take me to having so many leads that I’m now asking myself “What do I really want to do?" Liz came to us during a leadership transition when I was looking for a plug-and-play, senior professional who could fit right in and train our managers in how to lead people. She was smooth, entirely self-motivated, managed herself throughout the engagement and helped us through a rough spot. I recommend her. Thank you for leading a wonderful workshop. Your workshop was the “buzz’ during lunch. I know everyone felt so much more confident about having difficult conversations. You handled the workshop with a loving honesty and humor. Before I took your class, I thought making the powerpoint deck was planning the meeting. We had the nuts and bolts of being a team, but you showed us how to put them all together. Your ability to put us at ease and encourage us to be vulnerable and open transformed our team right before my eyes. I've already recommended you to several of my peers. Wanted to take a minute to tell you how much I appreciate your professional coaching and advice. You know how to home in on the issue and come up with not just one but many suggestions that are simply excellent and easy to apply. The tools you gave us are fantastic, but I get even more out of hearing how formulate your thoughts, then provide the perfect feedback to help tackle the issue and overcome the obstacle. A couple astonishing things have happened since the training: I like my job a whole lot more, and second, people are responding! They are opening, they are laughing, they are praising my work and each others'. I feel like the authenticity fairy... spreading levity and gratitude (both seem to be far too absent in corporate America). So thank you for helping me unlock this. It's contagious! I am glad I have the opportunity to learn from you via these emails and phone sessions. I have found each one thought-provoking, practical and...entertaining! am looking forward to what lies ahead--you definitely have a gift for consulting and helping others learn to do it better. 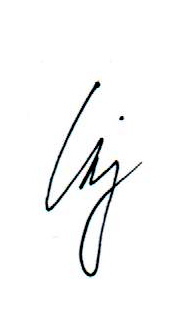 I wish I had met Liz a few hundred meetings ago. I could have accomplished a lot more with far less pain. Your programs are gourmet meals compared to the TV dinners of others'. Through your combination of focused workshops and individual coaching, I learned how my blind spots were holding me back and what to do about them, Now I look forward to every encounter, knowing I've got tools I can adapt to meet new challenges. I recommend you without reservation.